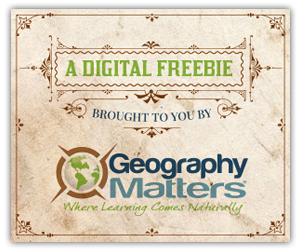 Geography Matters likes to offer a digital freebie every Friday on Facebook. For 5/10/13 only you can get a free 1-page download of a Leonardo da Vinci Crossword Puzzle. Here are additional homeschool freebies.